Dr. Kim Livezey, graduated from Purdue University School of Veterinary Medicine in 1988. After completing an internship in Small Animal Medicine and Surgery at the University of Illinois, she practiced in Indianapolis and Tuscola. In 1994, she had the opportunity to purchase the Animal Health Care Center from Dr. Lorna Lanman. With a special interest in Orthopedic surgery, Dr. Kim is a renowned surgeon and receives many referrals from area veterinarians. Dr. Kim leads a talented and caring team of professionals and encourages her associates and team members to continue their education. She is especially excited about incorporating FEARFREE PET methods into AHCC every day. She has also been a mentor for countless veterinary students, ensuring that they in turn learn to be compassionate doctors. When she isn't at AHCC, Dr. Kim can usually be found on her bicycle. She and her husband Trent have explored all over the country on two wheels. They share their very small home with Fannie, a golden retriever, Frank (French bulldog), Lola (Frenchie mix), Scarlett (English mastiff), and two cats, Fatboy and Julius. They enjoy visits from their five daughters, sons-in-law, and twin grandsons. Dr. Tia Pawlus graduated from the University of Illinois in May 2016 and joined out practice directly after graduation. 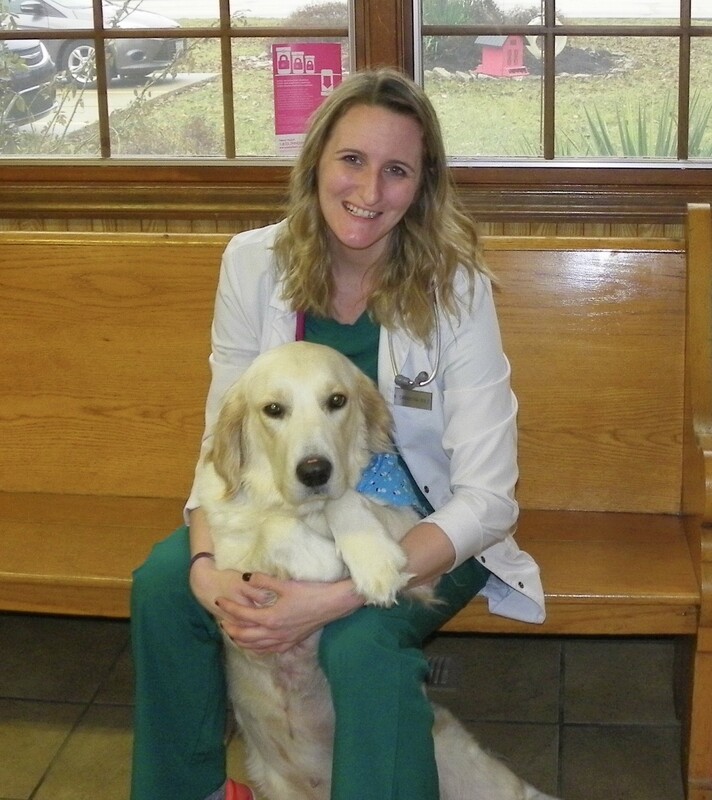 Prior to Veterinary school, Dr. Tia pursued a career as a Certified/Licensed Veterinary Technician for 10 years. Dr. Tia and her husband Steve have three children; a daughter Kaylee and two sons Colbie and Braylen, with whom she spends the majority of her spare time. Dr. Tia also has a menagerie of pets including 7 dogs (5 dachshunds, a corgi mix, and an english mastiff), 2 chinchillas, 2 sugar gliders, a canary, a salt water fish tank, and a toad. And once everyone is taken care of, Dr. Tia enjoys scrapbooking and reading.